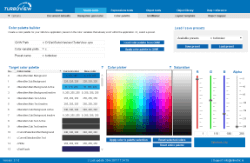 February 2014 - The Qlik Fix! The Qlik Fix! A short article that isn’t directly related to QlikView, but if you’re looking for a secure way to synchronize and share your files across computers then this might be interesting for you nonetheless. Like many people, I am a big user of Dropbox. Between my referrals, the free space that came with my Samsung phone and my paid subscription I now have 186 GB of online storage. While this is awesome for personal files, I’ve always been reluctant to use Dropbox for work-related documents, as time and again it is demonstrated that Dropbox is not secure. Besides that, Dropbox is also quite expensive, especially since I mainly use it to synchronize files and am not really interested in the cloud storage. With this in mind I set out to see if I could set up a more secure (and cheaper) alternative to Dropbox. After successful events in Las Vegas, London and Barcelona, and the upcoming event in Chicago next April 1 – 3, I am pleased to announce that the next European edition of the Masters Summit for QlikView will be held in my hometown of Amsterdam, The Netherlands on October 1 – 3 2014. 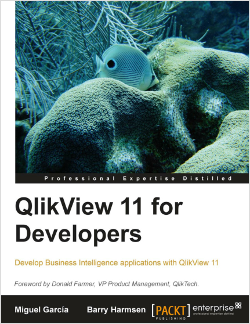 If you are a QlikView developer then the practical skills, ready-to-use resources and excellent peer networking offered at this event will make for 3 days that you do not want to miss! 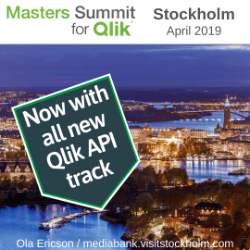 More information about the event can be found on the Masters Summit for QlikView website. 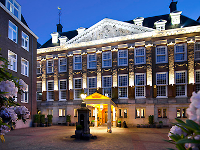 Update 2014/03/11: the date and venue have been finalized: 1 – 3 October 2014 at Hotel Sofitel Legend The Grand Amsterdam (Oudezijds Voorburgwal 197, Amsterdam 1012 EX, Netherlands).